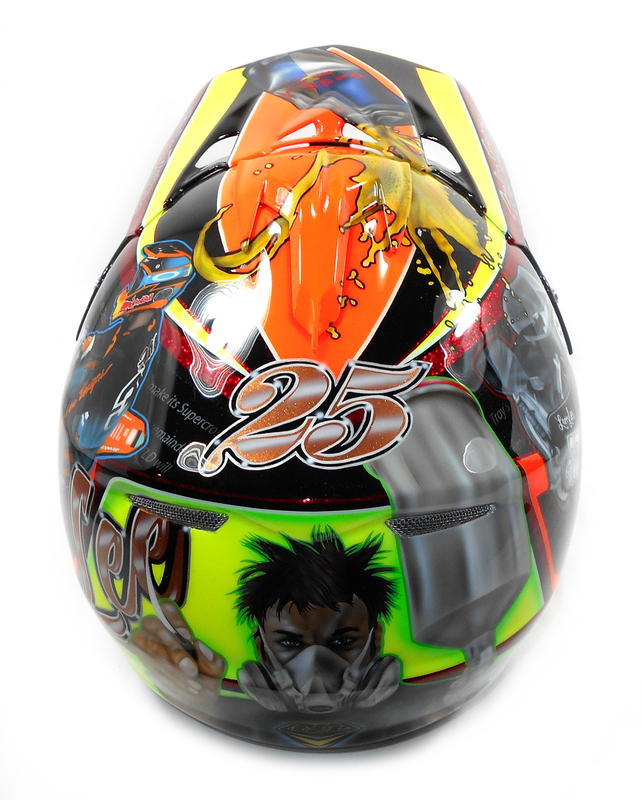 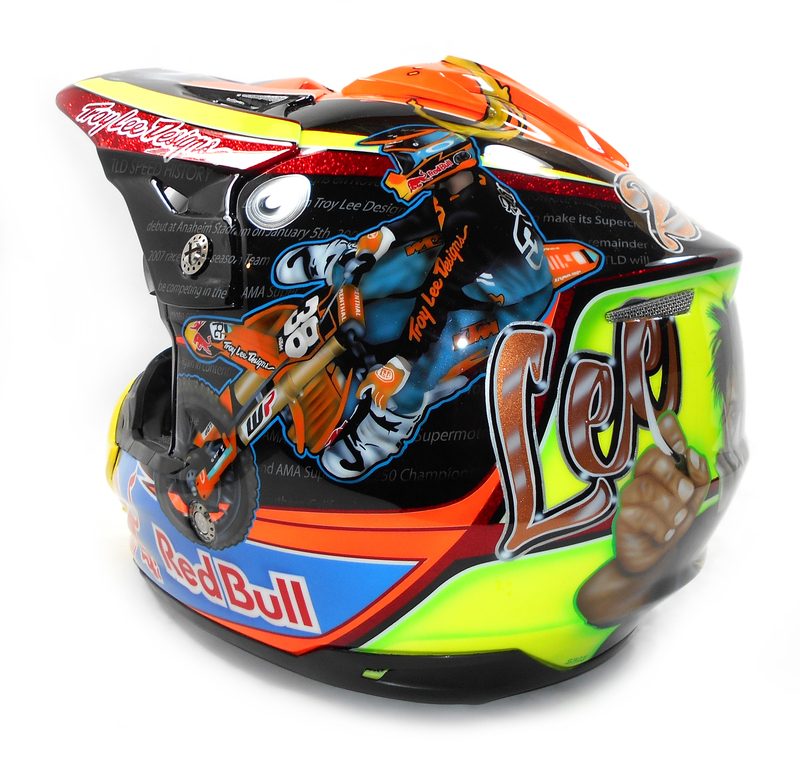 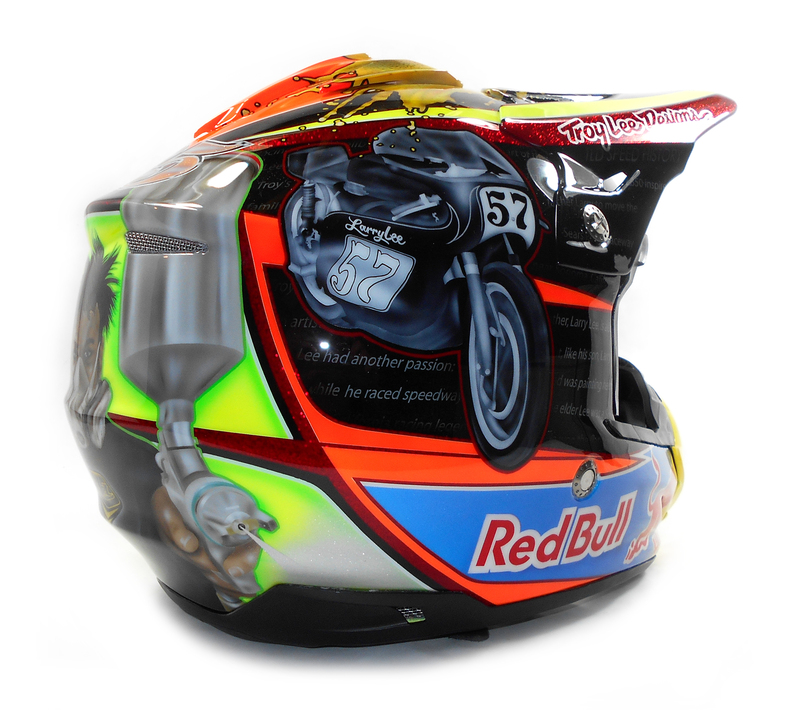 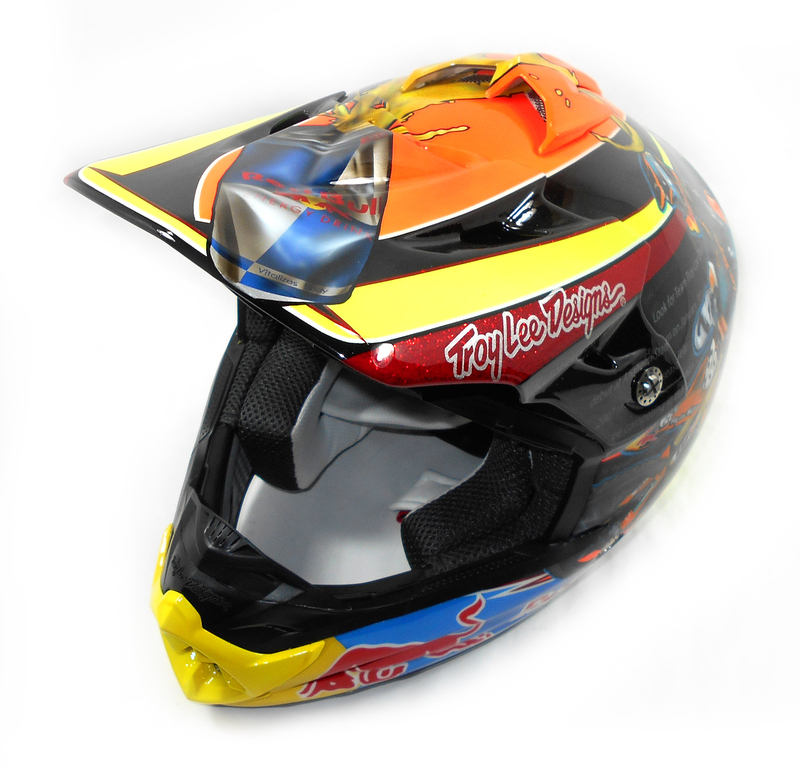 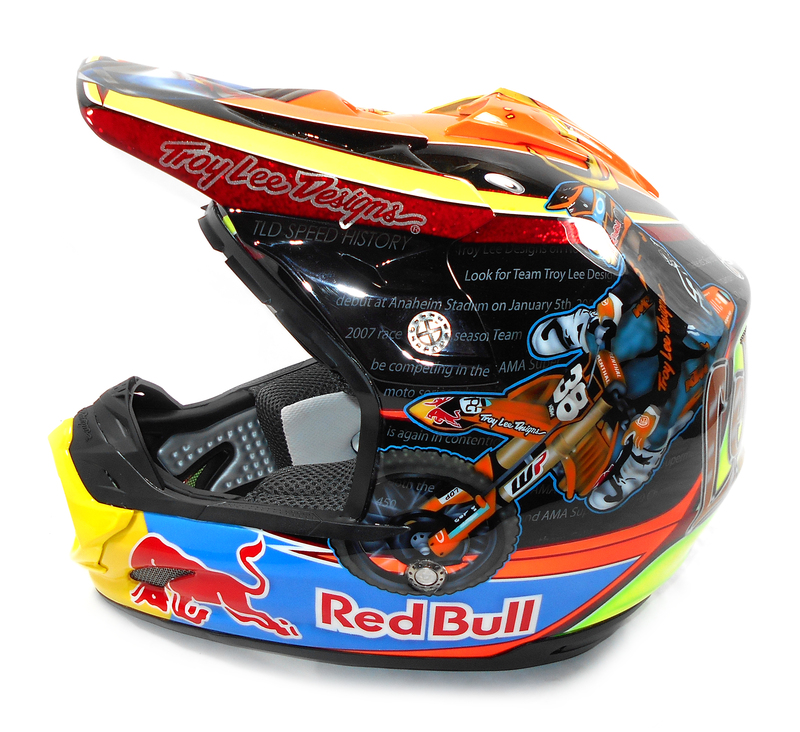 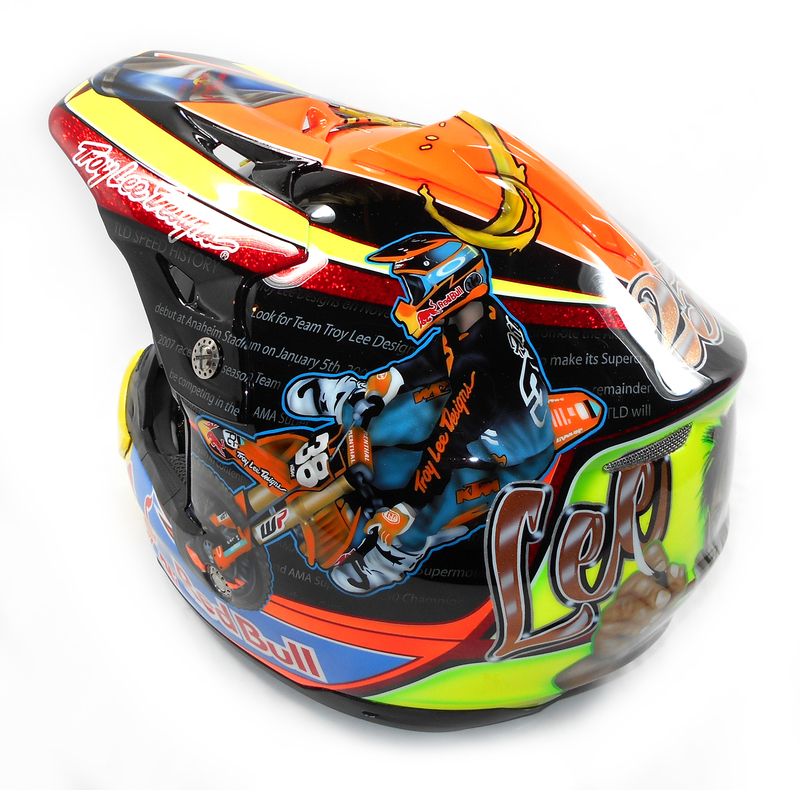 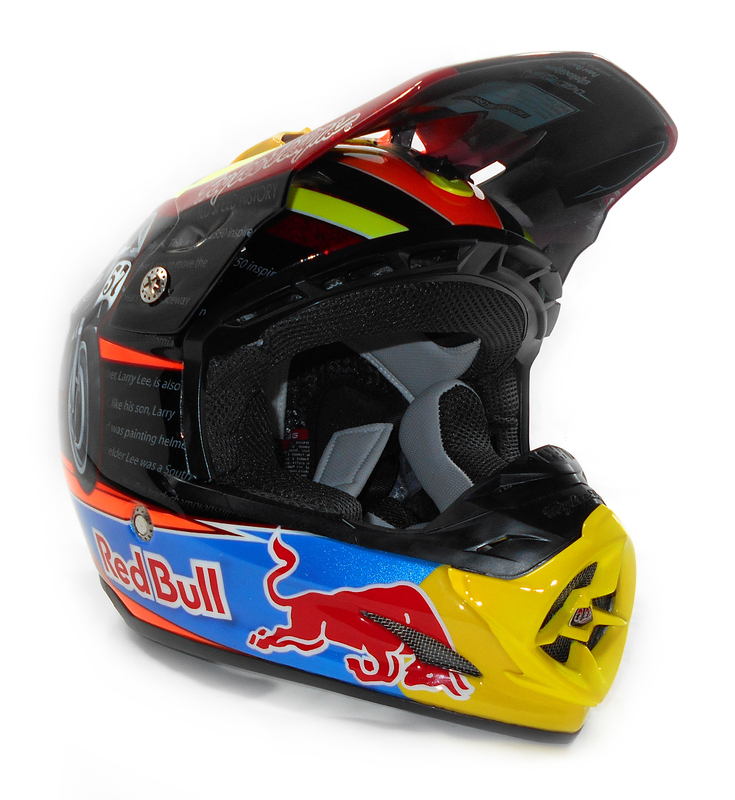 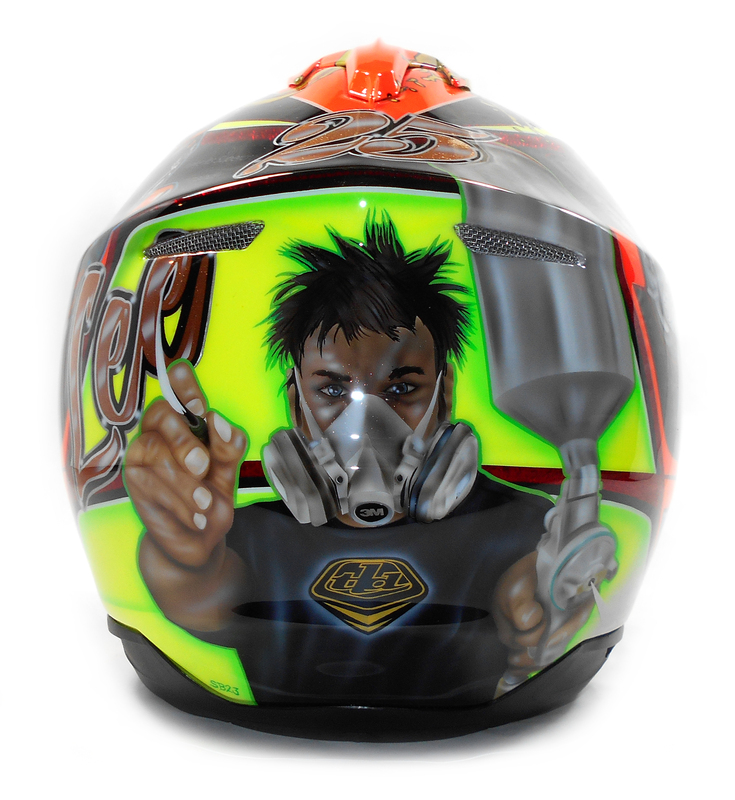 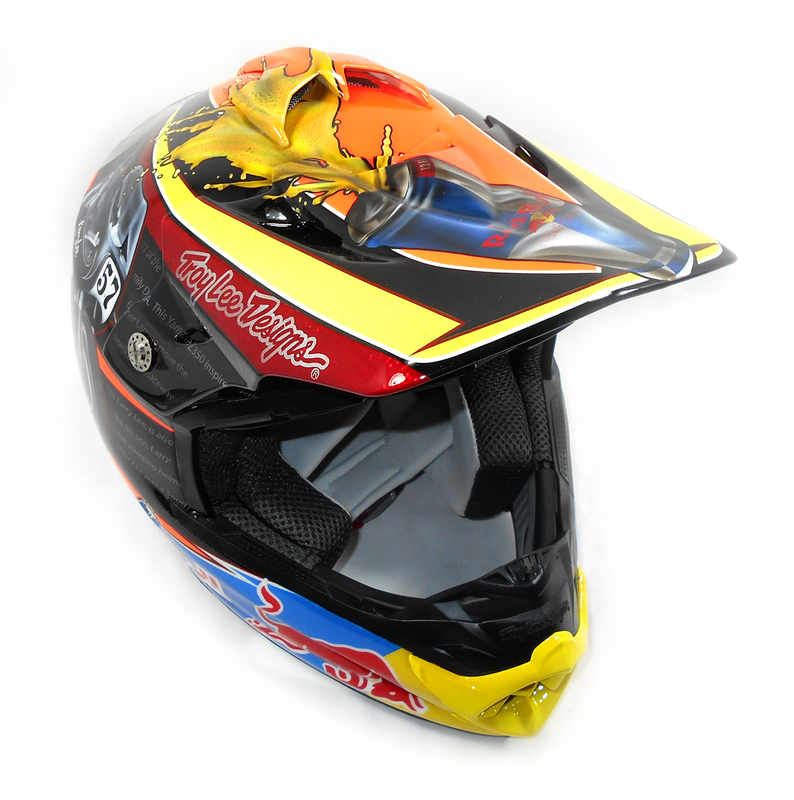 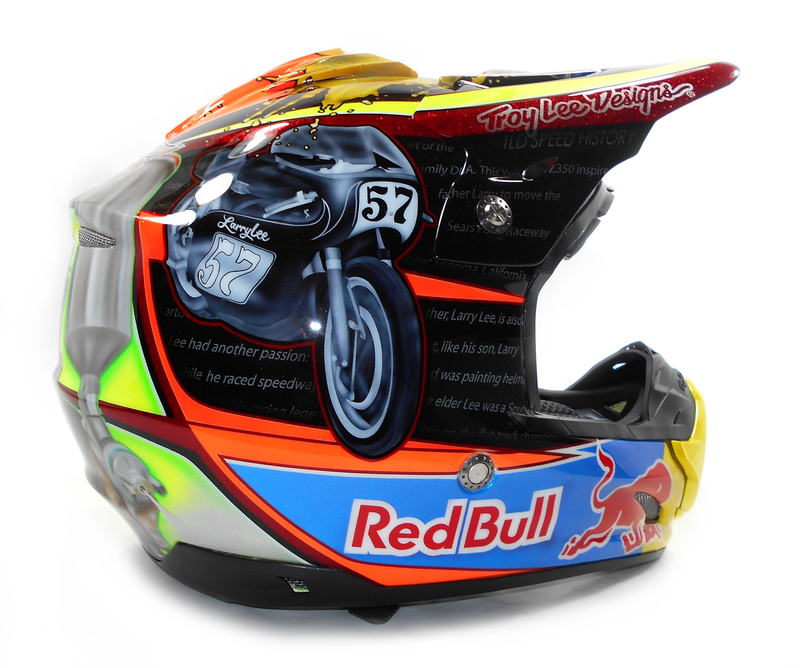 A helmet I designed and painted for Troy Lee at Troy Lee Designs. 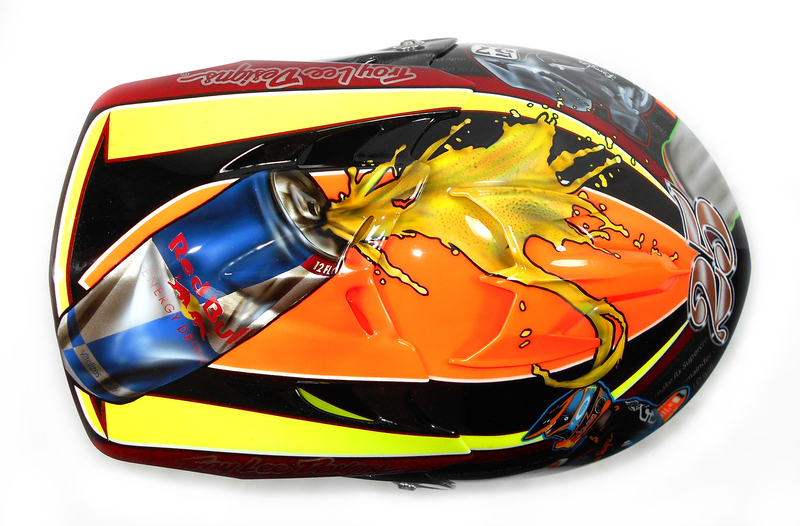 Starting with huge metallic boat flake and Kandy Red, this helmet had a TON of hours into it. 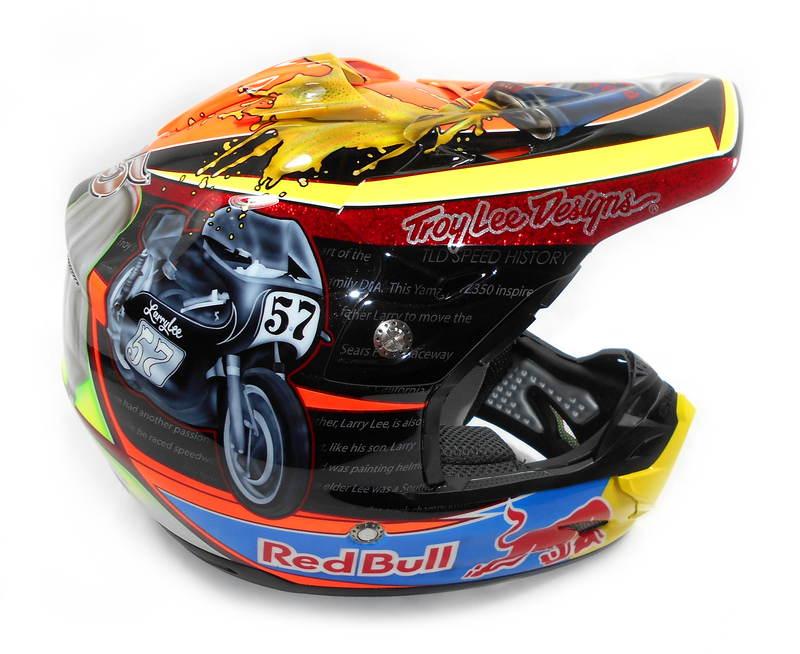 Showing some of the speed history of the Troy Lee Designs legacy, this custom painted helmet shows the beginning with his father Larry Lee, to the modern day Troy Lee Designs Race Team.